Originally written for the International Bank for Reconstruction and Development, Resources for the future published this report in 1971 believing it would be of interest to more general readers. 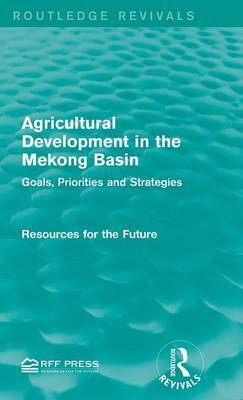 Resources for the Future draws on its past experience of resource utilization, development and economics to comment on issues faced by the Mekong Basin River for agricultural development such as the demand-supply conditions for improved agriculture, the limitations imposed by physical and human resource conditions and measures needed to modernize their agricultural methods. This title will be of interest to students of Environmental and Economic studies.